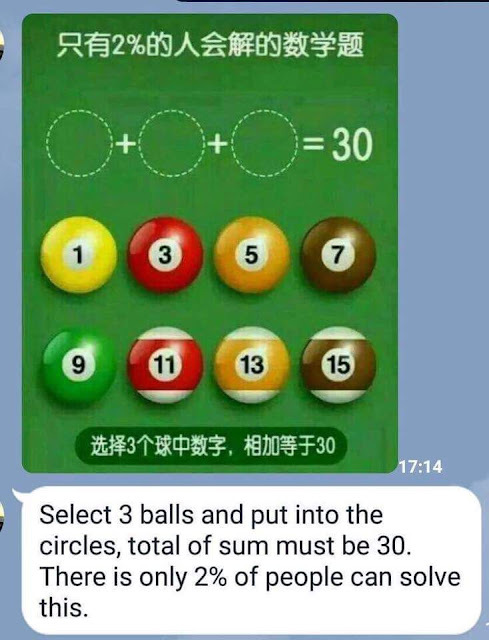 Select 3 balls and put into the circles, total of sum must be 30. There is only 2% of people can solve this. (The ball number 9 should be put upside down, so it becomes 6 and the total becomes 30.